KIGTROPIN promotes wound healing, attenuates the protein-catabolic response and improves whole-body nitrogen condition after operation. 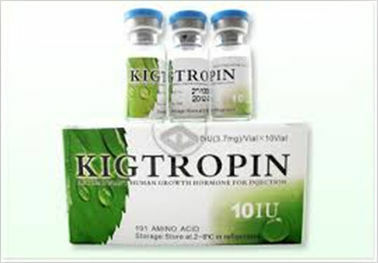 HGH, or Human Growth Hormone such as KIGTROPIN is sometimes only abbreviated as GH is one of the most important hormones in human body. It’s responsible for cell growth, reproduction and regeneration, and a vital part of body growth. Since scientists discovered the way to extract HGH and apply it to patients treatment, it has been used in children with growth and development disorders and adult growth hormone deficiency. The question being raised is what would happen if a perfectly healthy person would start taking HG supplements, since they’re such an important part of cell regeneration, which is the main key of slowing the aging process. The answer is – HG helps slow down body deterioration processes and maintain vitality even in elderly patients.